Aspen-Snowmass’ largest skiing option is getting ready to mark its first half-century of hosting schussers. The Colorado ski hill of Snowmass – one of four hills that collectively make up Aspen-Snowmass – will be 50 years old on Dec. 15, and the hill is enabling people planning to hit its slopes on that date to save money, with Dec. 15 lift tickets being US$6.50, the same price they were when the hill first opened. “It’s been astonishing to see the response to the celebration,” Aspen Skiing Company spokesman Jeff Hanle said in Toronto recently. 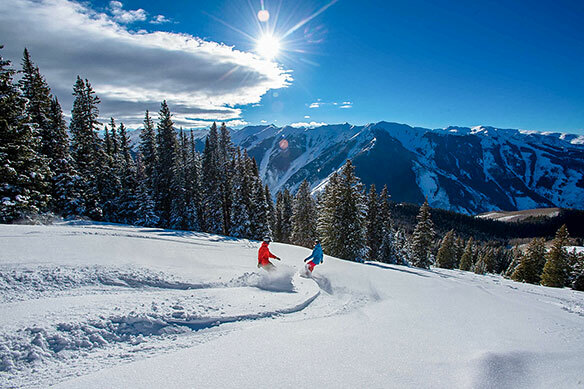 More than 12,000 Dec. 15 lift tickets have already been sold, the largest daily number ever for Snowmass, which is larger than the other three hills combined and will easily be able to host all those skiers, Hanle continued. “It’s going to be fun. It’s going to be a lot of people getting together who have some connection to Snowmass. Ì think you’re going to see a lot of multi-generational families who have been coming here for years,” Hanle said of the “huge, huge mountain” that can accommodate all levels of skiers. Other tributes to the 50-year mark will take place throughout the winter season. Meanwhile, Richard Savage, the Aspen Ski Company’s Canadian representative, told the gathering that people shouldn’t believe that Aspen vacations are solely for well-heeled sorts. “You can totally do Aspen on the cheap,” he said. Savage also said those who visit the Aspen area will find a large number of bars and restaurants after they end their days on the slopes. The Aspen area has a “good, eclectic mix” of offerings for visitors, added Hanle. The Aspen name now brings immediate worldwide recognition in skiing circles, Hanle continued.